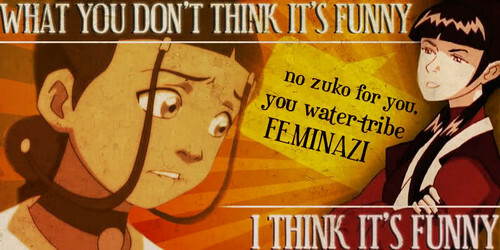 Anti-Zutara. LOL! Ty Luko!. Wallpaper and background images in the Avatar – Der Herr der Elemente club. This Avatar – Der Herr der Elemente fan art contains anime, comic, manga, cartoon, comic buch, karikatur, and comics. There might also be zeitung, papier, magazin, tabloid, rag, zeitschrift, lappen, and boulevard. Hahaha! I'm totally with it except for the little bit of Zutara in that statement!